What's the smallest plane you've been in? A flight from Manila to Caticlan via Cebu Pacific's ATR 42, with only four seats in one column instead of the usual six, is the smallest I've experienced. That remained true... until today. Thanks to Zing Rewards for picking my name at the raffle during their grand launch two months ago, I get to try a once-in-a-lifetime experience. 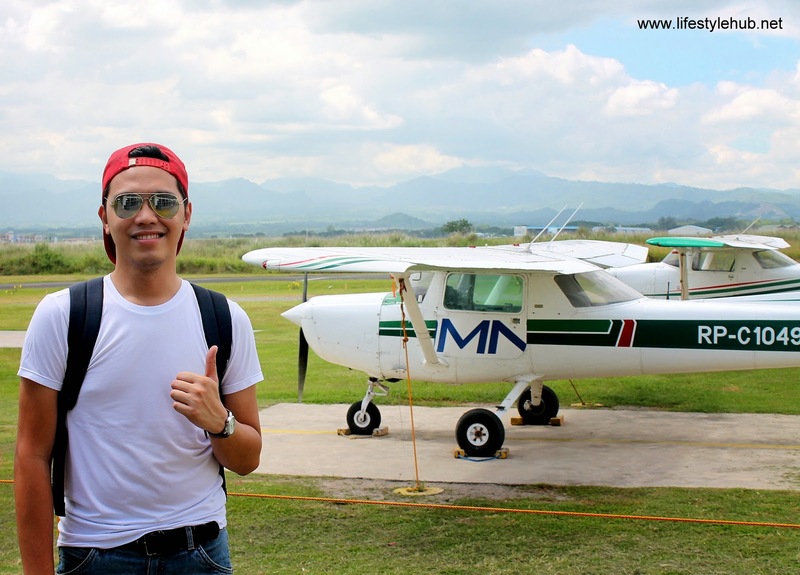 I won a free sky tour to Mt. 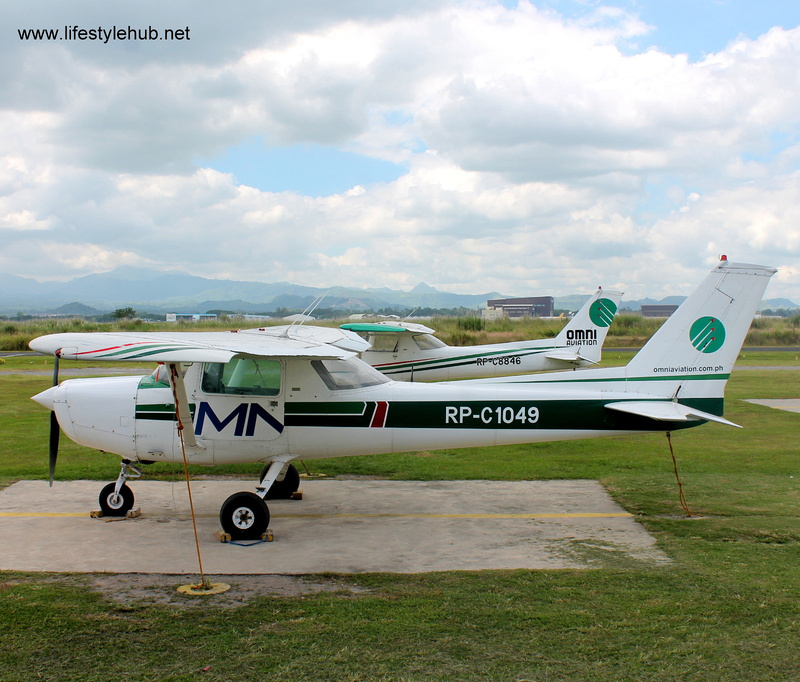 Pinatubo via one of those tiny jets you see in Clark Airbase: Omni Aviation's Cessna 152! After being postponed twice because of bad weather, the very accommodating Marketing Manager of Zing Rewards, Miss Fatima Torres, texted me if I am ready to take the sky tour this weekend. Since PAG-ASA has projected clear skies for the next two days, I immediately said yes to her invitation. It was really a short notice but it only took less than an hour for my knapsack to be ready for this adventure with the clouds. The night before traveling to Clark, I did a little research of what the trip will be like. More importantly, how small is the plane exactly? 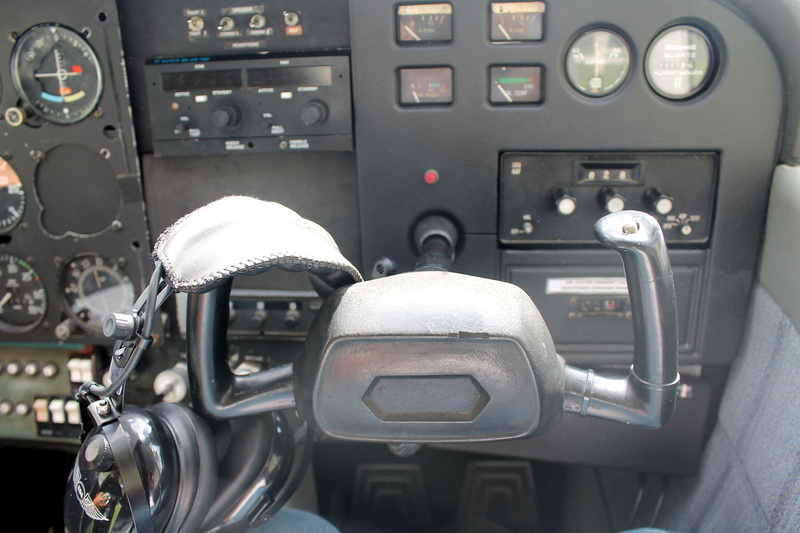 If you're into the science of aviation, you know how small is a Cessna 152. But for people like me who only cares if a plane can take off and land safely, I'll give specific numbers so you'll get better picture of what our adventure was like. 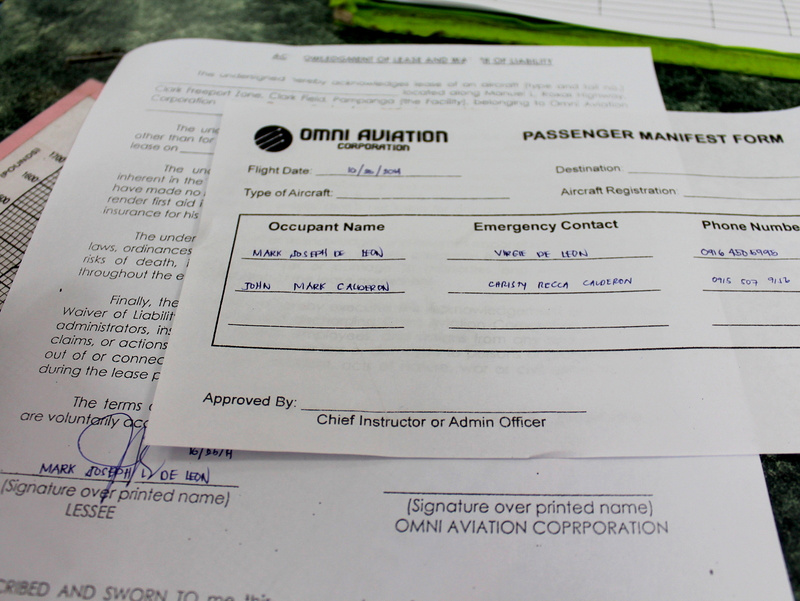 Omni Aviation is using a Cessna 152 in offering air tours and flying classes in Clark, Pampanga. It measures 24 feet and 1 inch in length or almost 2 regular taxi cars combined. It's wingspan is 33 feet and 4 inches. Yes, the wings are bigger than the plane's actual body! It also weighs only 490 kilograms. That's equivalent to not more than 10 sacks of rice! For a vehicle, this plane is very light which means that turbulence can easily be felt. The original capacity of the plane is two: one passenger and one pilot. However, the later versions added one more seat at the back of the pilot which can occupy two more people. Omni Aviation can accommodate a flight for a maximum of 3 people. They have to ask for your weight but the ceiling remains unclear. I understand that they really don't want to dwell too much to this very sensitive topic. If you think you're too healthy for the small plane, you can call Omni Aviation for clarification before booking for your trip. The plane can travel to as far as the 1,280 kilometers. That's about one trip from Manila to any point in Mindanao. However, don't expect it to be as fast as the regular commercial flights. Our pilot, Captain Jeff (apologies if I forgot his last name as I was too excited to absorb everything) explained that the farthest he drove the plane is from Clark to Tuguegarao in Cagayan Valley which took him and his students three hours. Being a flying instructor in Omni, he has to supervise flying exercises. On that special day, we took the bus from Cubao to Dau. 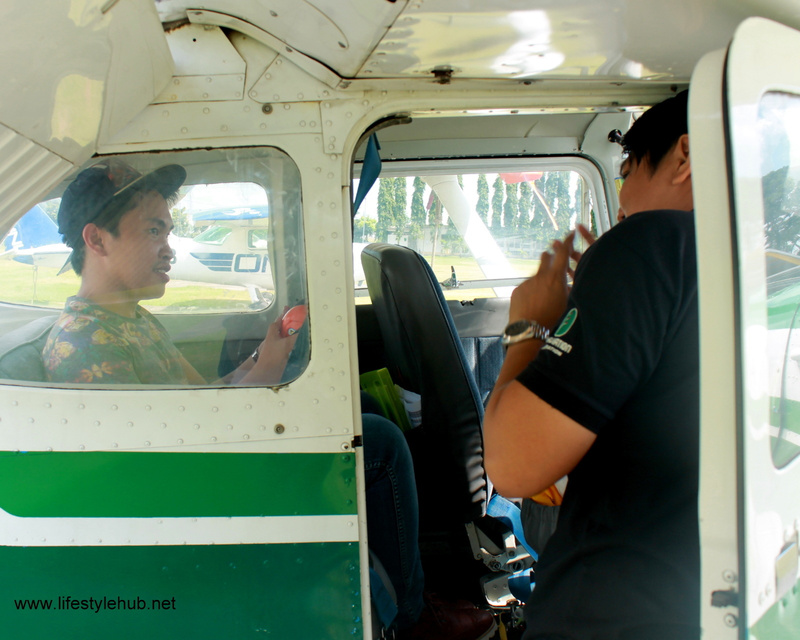 In 90 minutes, we arrived safely in Mabalacat where we took one jeep ride to the airbase gate which is fronting SM Clark. There are no public transport that will take you exactly to Omni's facility so we rented an entire jeepney for PhP200. The vehicle can accommodate around 30 people but there were only two of us. That was such a fun warm-up! Upon arriving, we were greeted by Cheryl (here we go with my short memory for last names) at the front desk. What you need to present is a valid, government-issued identification. You also need to sign a manifest and a one-page waiver. 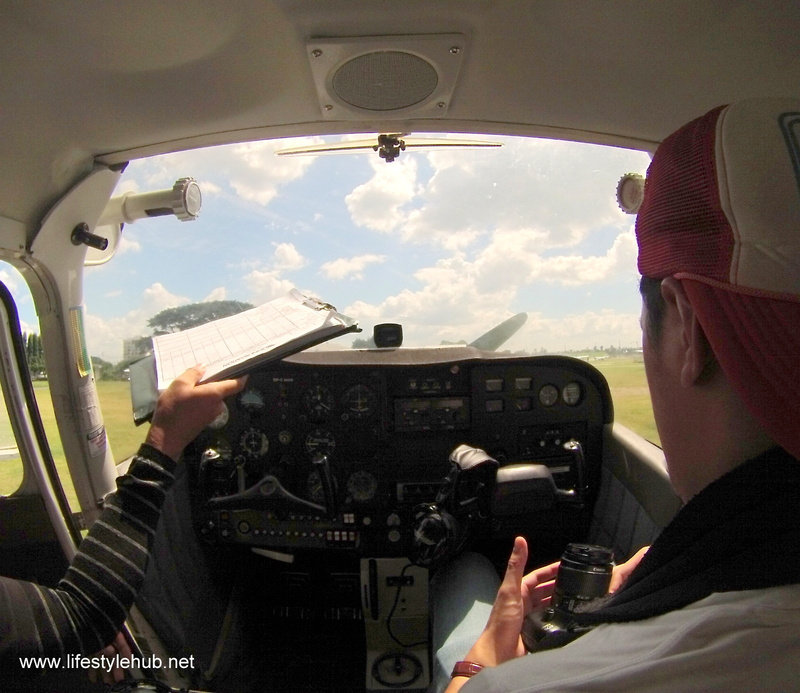 Afterwards, you'll be introduced right away to your pilot who will discuss the details of your flight. I imagined that we'll take some safety drills or at least a 10-minute crash course filled with safety reminders before we board the plane but the process was as fast as getting movie tickets. Not sure about you but for me, it is a good thing. Jeff told us that it would be too risky to fly over Mt. Pinatubo that day. The clouds were too thick for us to get a better view of the volcano's crater. He offered an alternate route to the neighboring Mt. 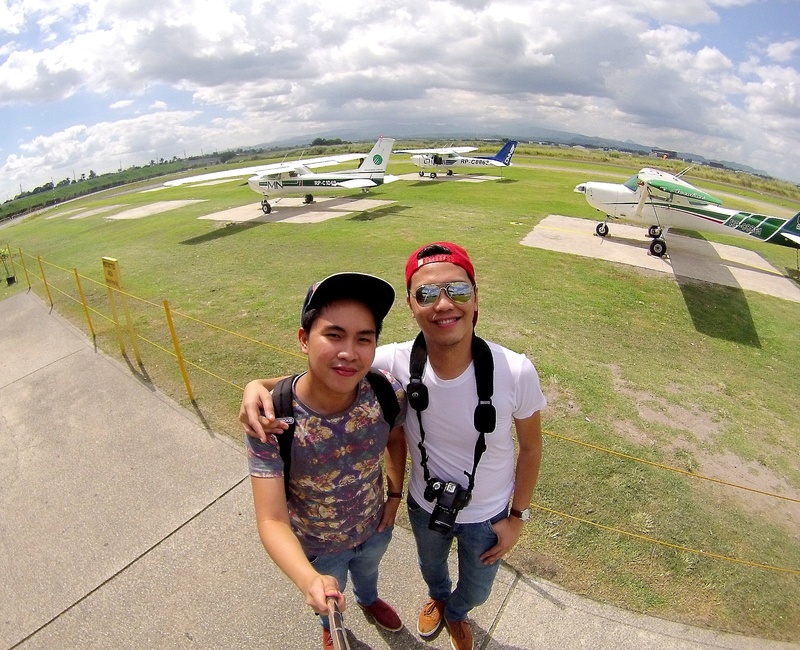 Arayat which evidently made me a little bit disappointed. He gave us time to decide which moved our supposedly 12 noon flight to 1pm. Me and Joms decided to take the risk and go for the Mt. Pinatubo route. It could be our only chance. We may no longer be that interested to fly with a small plane again.